Learn here how to reset the Canon PIXMA MG2240 printer following the steps below, if you have any questions, type a comment. Canon PIXMA MG2240 printers like all Canon printers, when printing many pages arrive at a quantity that is necessary to reset them. Restoring pads for printers Canon PIXMA MG2240, or 5B00 error, an average of 15,000 pages have printed. With this amount the manufacturer, it has considered that the printer has spilled sufficient ink to fill sponges, located on the right side of the printer. The memory is completely blocked and tells us to take the equipment to technical support, repair will not be anything special in the support, only we have to pay the price for it, certainly well priced high compared to the price of printer. 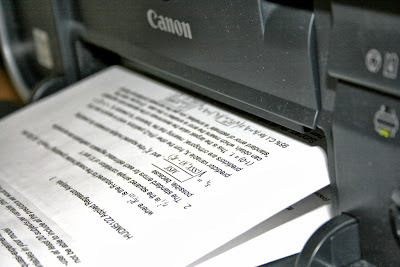 This usually pass much people using printers with continuous ink systems, the high demand for printing and the possibility of doing without changing the cartridges, can lead us to print a lot of pages, without even realizing it. To reset a Canon printer, two processes need to be followed, the first is to enter service mode, and then run a program called Service Tool, which works for this printer is the V3400. Follow the link to the file download service tool to reset the Canon PIXMA MG2240 printer. Then save the file in a place where you have no trouble finding it after to entering service mode. Release the button to stop / reset and we pressed the power button. Without releasing the power button we press the button 5 times stop / reset. When completed, the display of the printer any information should not appear, and release the power button. In case of not, turn off the printer and start the process again. Run the program that you downloaded, a screen, similar to the one presented below, in case not be possible to select options displayed, you must start the process again, this time to disconnect any device connected via USB, as cameras, cell phones and printers. Then we click on the EEPROM section Print and the printer prints a page with information at the top, this means that the printer is already reset. It is possible that after completion of the procedure, we need to set the printer as the default again, as this has been renamed and is now ahead (copy 1).